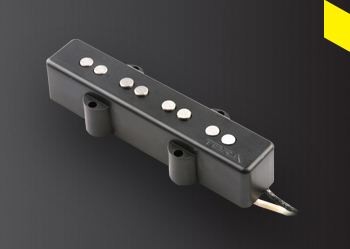 The VR-B1 staggered pole piece Jazz style bass pickup features a new spin on a time-honored design. 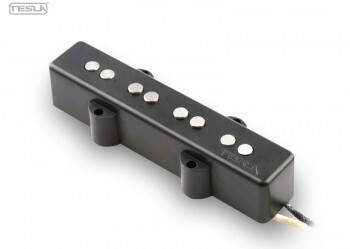 The result is a set of unique single-coil pickups that produce an impressively clean traditional J-Bass sound with a great attack. 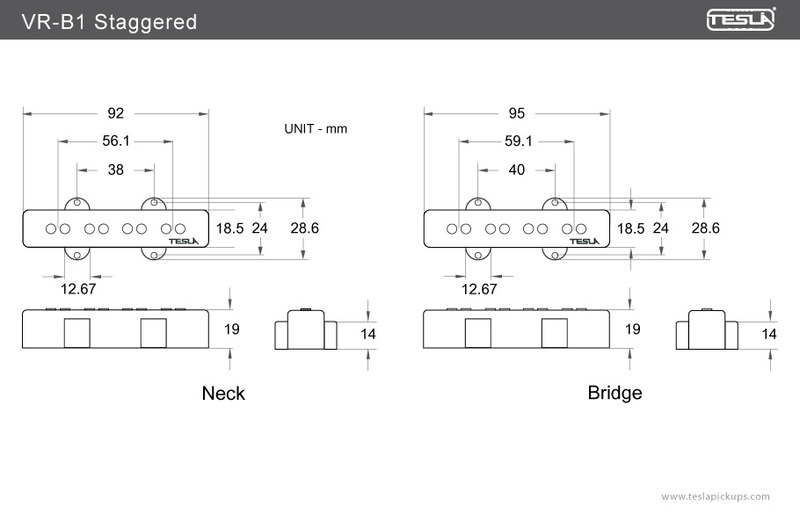 We are able to balance the quality of tonal reproduction to the highest level by calibrating the heights of each of the eight Alnico 5 magnet pole pieces specifically to each string. 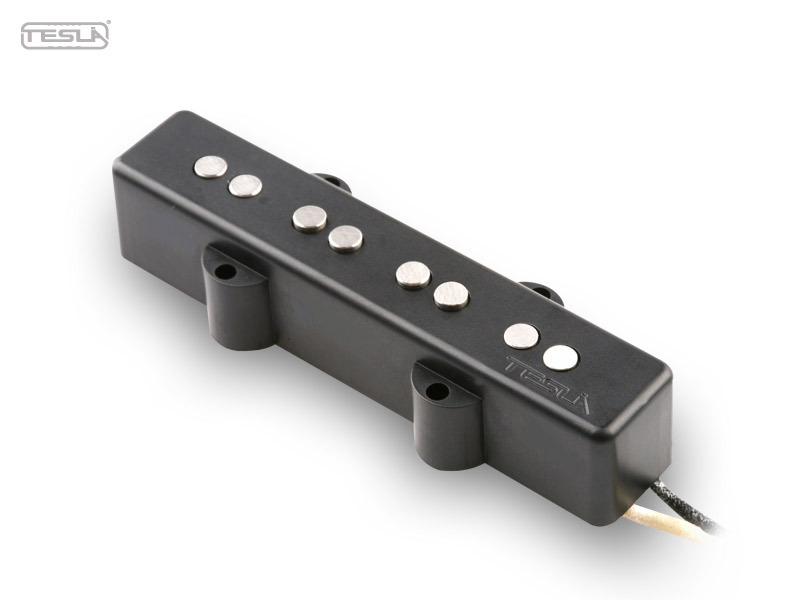 The VR- B1 staggered pickups are carefully made with heavy formvar copper wire, Alnico 5 pole piece magnets, a fiber bobbin and cloth covered wire. Equipped with 2 wire leads.